A bi-weekly eNewsletter capturing groundbreaking construction people, projects and trends at work in California and Hawaii. A bi-weekly eNewsletter capturing groundbreaking construction people, projects and trends at work in Pennsylvania, Delaware, Maryland, Washington, D.C., Virginia and West Virginia. A bi-weekly enewsletter capturing groundbreaking construction people, projects and trends at work in Colorado, Idaho, Montana, North Dakota, South Dakota, Utah and Wyoming. A monthly eNewsletter capturing groundbreaking construction people, projects and trends at work in Maine, Vermont, New Hampshire, Massachusetts, Rhode Island and Connecticut. A monthly eNewsletter capturing groundbreaking construction people, projects and trends at work in Washington, Oregon and Alaska. A bi-weekly eNewsletter capturing groundbreaking construction people, projects and trends at work in Alabama, Florida, Georgia, North Carolina, South Carolina, Tennessee and Puerto Rico. A bi-weekly eNewsletter capturing groundbreaking construction people, projects and trends at work in Arizona, Nevada and New Mexico. 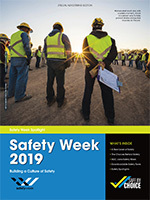 A bi-weekly eNewsletter capturing groundbreaking construction people, projects and trends at work in Arkansas, Louisiana, Mississippi, Oklahoma and Texas. A monthly eNewsletter focused on news and trends in talent development and management at all levels in global construction sector firms and organizations. A monthly eNewsletter focusing on news, trends and opportunities in the construction industry in the energy-related markets. A bi-weekly eNewsletter covering the spectrum of business, construction and information technology to help AEC industry leaders boost productivity. A bi-weekly eNewsletter devoted to construction related risk, insurance, surety, regulatory compliance, ethics and law. An eNewsletter covering the latest tools of the trade, offering insights into equipment and material trends, and technology that are making construction projects safer, productive and profitable. A monthly eNewsletter targeted at the leaders of commercial contracting firms.